More Shows Added to the 2018 schedule. More shows sdded to the 2018 schedule for April, May, July, October & December. Be sure to reserve your date early for April! 2018 Tour Schedule now available! Titanic-Mrs. Thomas Andrews 2018 tour schedule for January-April is now updated. Please check back regularly as new shows are added daily. “Christmas Wishes from Belfast” can now be viewed on CTSB-TV Public Channel formerly Ch. 16 now 1301, Youtube & Vimeo. Schedule Update & Christmas Special! Titanic-Mrs. Thomas Andrews had added new updates for 2018 shows! Christmas with the Andrews to air this month! Stay tuned for updates. 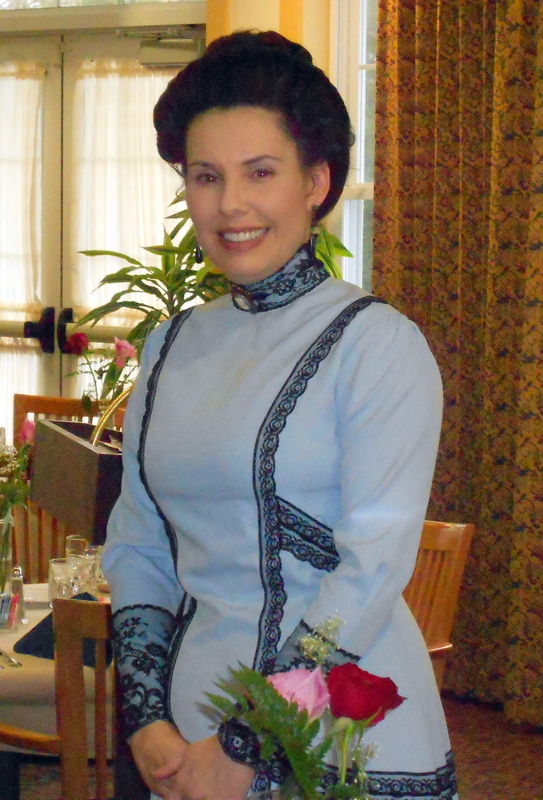 “The Life & Times of Mrs. Thomas Andrews” “A Visit to Whitley Park” Now Airing…. Exciting News! Episode #8 “The Life & Times of Mrs. Thomas Andrews” “A Visit to Whitley Park” Parts 1 & 2 will be airing locally in the Berkshires on CTSB-TV channel 16 this week! Also, Now Aring on Youtube & Vimeo! 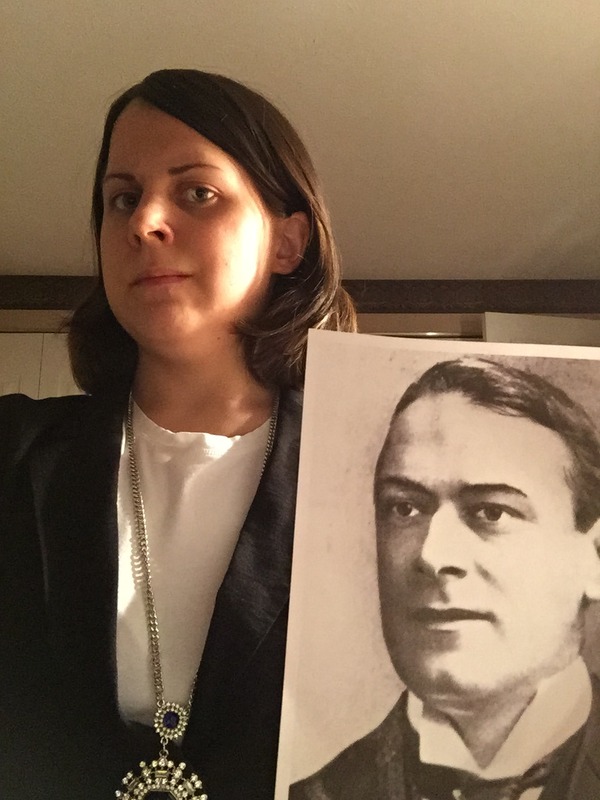 The series can also be viewed from the front home page here on Titanic-Mrs. Thomas Andrews! Titanic-Mrs. Thomas Andrews tour schedule has been updated. New shows have been added for November to the tour schedule. Photo of the Harland & Wolff Apprentices c. 1890 is frequently misidentified. Thomas Andrews Jr. is standing 2nd from the right in the group photo as published in “Shipbuilders to the World” and elsewhere. 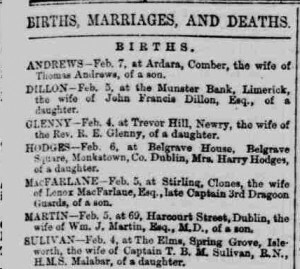 Birth announcement for Thomas Andrews Jr.
Hung over the fireplace in the Smoking Room on the RMS Olympic. Hung over the fireplace in the Smoking Room on the RMS Titanic. 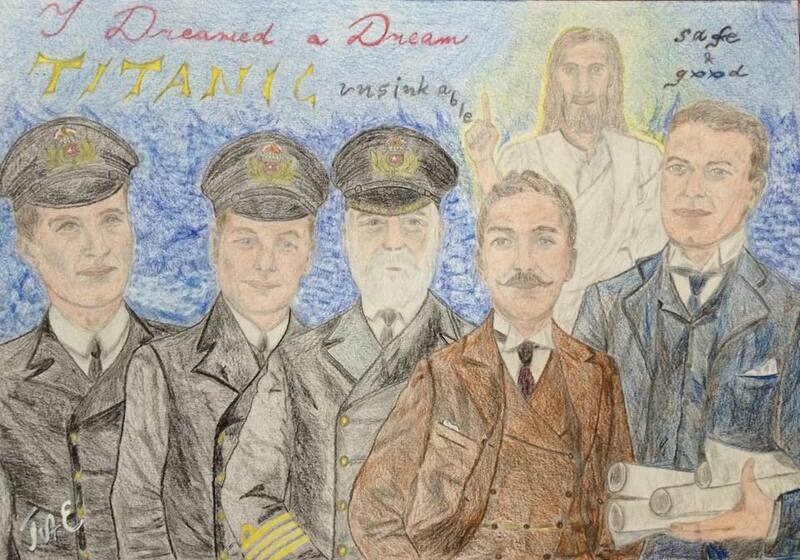 Often in film, the wrong painting has been depicted aboard Titanic. 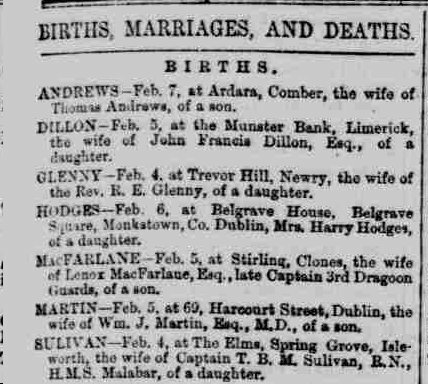 Next door neighbors (closer to Lisburn Road) to the Andrews on Windsor Avenue. #8 Windsor Avenue. There was an empty lot between Mr. & Mrs. Andrews home & the Lawlor’s at the time. 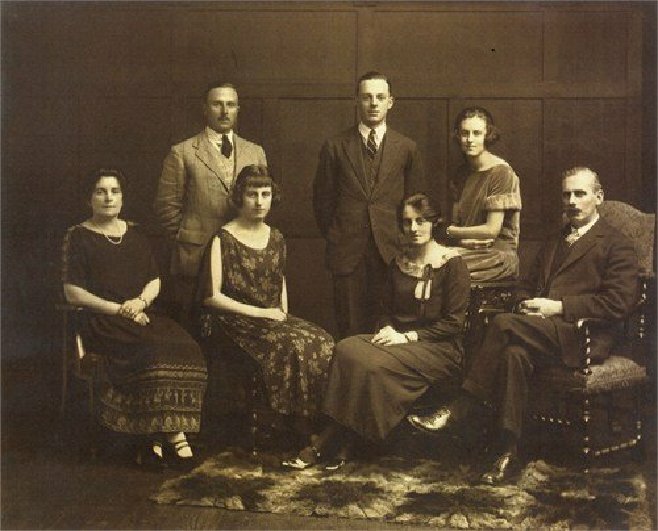 Left to right front row: Beatrice Kathleen, Kitty Lawlor, Lisa Lawlor, Henry Cairnes Lawlor, Back row, Jack Lawlor, Alexander Lawlor and Margot Lawlor. Thomson Hamilton. Secretary to Thomas Andrews Jr. Jane Stokes collection. (granddaughter). Thomas Andrews Jr. was amongst the founders of the North Down Hockey Club. Photo right shows many Andrews’ family members. 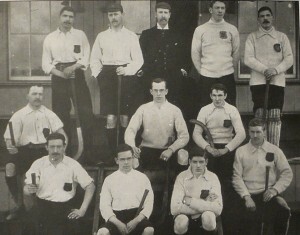 1897/1898 season. Back Row (left to right) Niblock, JM Andrews, HP Andrews, J Andrews, S Niblock. Middle Row (left to right) S Gracey, O Andrews, G. Dickson. Front Row (left to right) Hunter, S Andrews, H Harland, L Andrews. Photo credit: “The First One Hundred Years” by Jim Patterson. This area is dedicated to drawings that are sent in to Titanic, Thomas Andrews from fans of Mr. Andrews from all around the world. This page is for you! 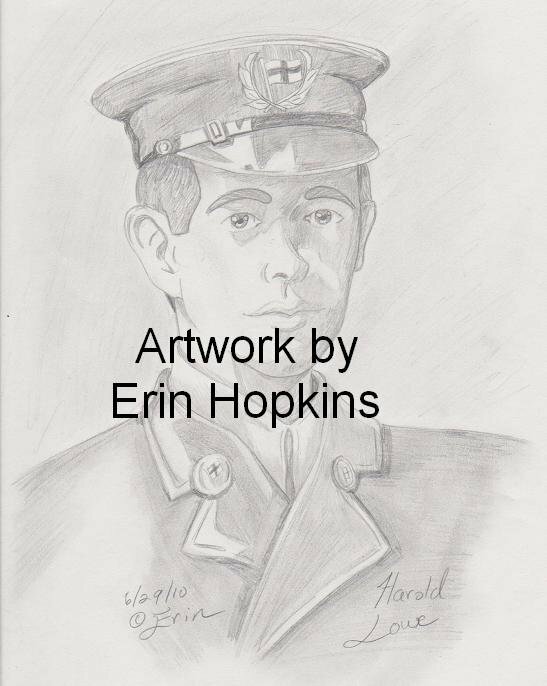 Please continue to send in your drawings at MrsThosAndrews@aol.com I can also be found on Facebook & am happy to accept submissions there. 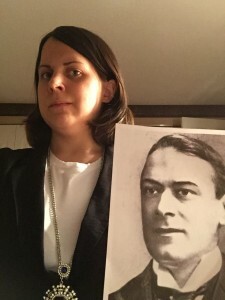 If you prefer the old fashioned way, I am always grateful to receive correspondence at: Titanic-Mrs. Thomas Andrews P.O. Box 72 Stockbridge, M.A. 01262. 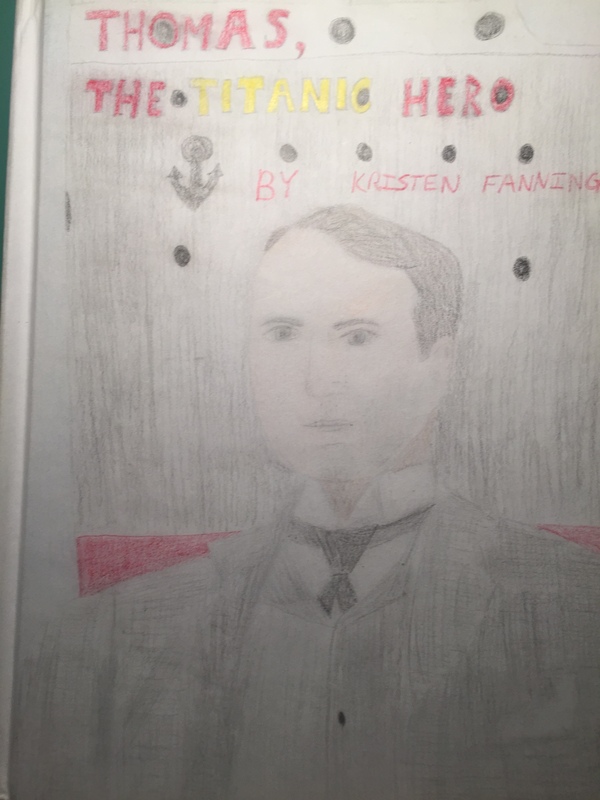 Kristen Fanning & Thomas Andrews Jr.
Kristen Fanning wrote a book on Mr. Andrews Titled: Thomas, the Titanic Hero. Drawing of Titanic’s fifth officer Harold Godfrey Lowe by artist Erin Hopkins. Thank you for coming to our library for your performance. It was absolutely loved by everyone and that was the first standing ovation that our patrons have given to a performer. Thank you and your staff for a wonderful afternoon. All of my residents have not stopped talking about the event. Will contact you again. You have enriched all of our lives. What a splendid program you presented for us the other night. All the attendees hung on your every word and some were visibly moved. Thank you for bringing the story of the Titanic tragedy to life for us. Polly Sandridge- Friends of the EauGallie Library. EauGallie Florida. 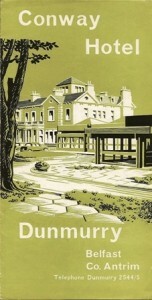 On behalf of all the residents at Cameron House, I thank you for such an enjoyable afternoon. Your presentation was informative and delightful and such a positive response from ALL the residants. “It was the best presentation we have seen’, quoted one of our residents. They loved the artifacts and were fascinated by all the information you shared. It was a joy to meet you, and again I thank you for such a wonderful afternoon. We all wish you well and hope to have you back again soon. Denise, What a thrill to watch you perform as Mrs. Thomas Andrews at Quail Run Estates yesterday.My wife mentioned to me a few weeks back about your upcoming presentation. We invited another couple who also had an interest in the history of the Titanic. You were professional, original and convincing. You were also factual which helps beginners to understand how the conditions where at that time. I was impressed. Your excellent presentation at Noble Horizons on September 7th dredged up many memories for me. 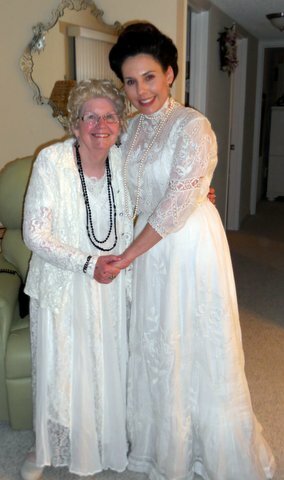 Yes, my mother did dress for dinner. On my trip aboard Olympic in 1931, a gala dinner was held to which even we children wore our pretty pink and frilly party dresses. Much time was spent in deck chairs on deck forward near the first stack. The galley must have been beneath that area because of the unpleasant blend of food and black stack smoke at times. It resulted in quiziness or sea sickness. It was a seven day crossing, stopping briefly at Cherbourg to let a few people disembark. 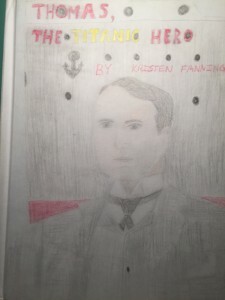 I am aware of the time and attention to detail it took to put on such an interpretation of the Edwardian times and dress and history of the designing of the Titanic. It was thuroughly enjoyable to me and all who saw it.